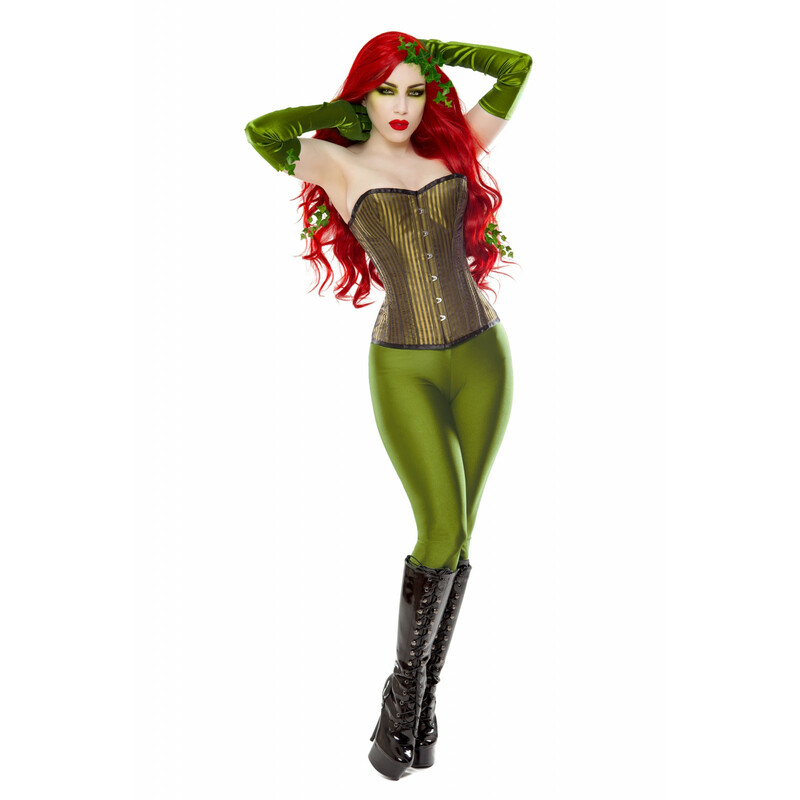 Here is a great chance to create a steampunk look inspired by Poison Ivy from Batman. The green shadow stripe steampunk corset has vertical stripes that create a slimming effect in a fantastic steampunk ivy green. 30 days refund policy on the full outfit. We do not offer refunds on parts of the outfit, the refund will be for the full outfit.